Crazy ants invading our electronic equipments!! Crazy ants are highly versatile, living in both moist and dry habitats. They generally nest in rotten wood, soil, the cavities of trees and plants, trash and under rocks and buildings. They cannot survive extremely cold climates and may infest houses and buildings when the weather changes. They often invade our homes, buildings, industrial plants, and even our electronic equipment. These ants are difficult to control because they are ready to abandon their homes and find new ones at a moment’s notice. Like many invasive ants, including some populations of the red imported fire ant (Solenopsis invicta), crazy ant colonies contain multiple queens. This allows them to reproduce faster than single-queen species and makes it hard to kill the entire colony. Crazy ants are always looking for cavities to nest in — unlike most ants, they don’t excavate their own holes and tunnels, beyond minimal expansion. That is also the reason they move into people’s houses, nesting in any area with protected holes and cavities, such as the insides of walls and in basements and crawlspaces. Edward LeBrun, a researcher at the University of Texas, explained – Their small size, less than one-eighth of an inch in length, allows them to crawl inside cell phones, computers and appliances, which all are home to protected cavities and are “just great” for these ants. Most commonly, they swarm inside sheds and pumps in rural areas, which has been a problem for industries in Texas and elsewhere along the Gulf Coast. When the crazy ants enter these devices their bodies can create connections between electrical contacts, which can lead the circuits to short out and electrocute the ants. This causes them to release an alarm pheromone, a scent ants use to communicate that they are “under attack,” likely attracting the ants’ kin to come and fight. This creates a vicious cycle that can leave appliances broken and full of dead and angry ants. Crazy ants have unique body structure. Their jaws are not strong enough to cut through metal wires, but they can chew through the softer insulation around them, exposing the live wires and causing electrical shorts. Teeming out of electrical outlets and short-circuiting electronics, these tiny reddish-brown crazy ants have been making headlines as their numbers climb in the southeastern U.S. The ants swarm inside the units, causing them to short-circuit and preventing them from turning on. Often the switches inside them need to be replaced, thanks to the ants, said Matthews, who works for the Austin-area pest control business The Bug Master. According to ABC News, the chemicals that kill the more common red ant aren’t effective on crazy ants, so residents should call pest control if they find an infestation in their home. The insects, bizarrely, are attracted to electrical wiring and components and in one year alone caused $146.5 million in damages in Texas, ABC reported. The devastation occurs when one ant discovers the transformer then gets electrocuted when it touches it, and ‘waves its abdomen in the air’ omitting a certain scent. The scent lures for ants to the scene and they too are electrocuted, again sending the scent into the air to attract their friends. Eventually, there are so many dead ants that the electric switches get stuck or the insulation fries and the system shut down. 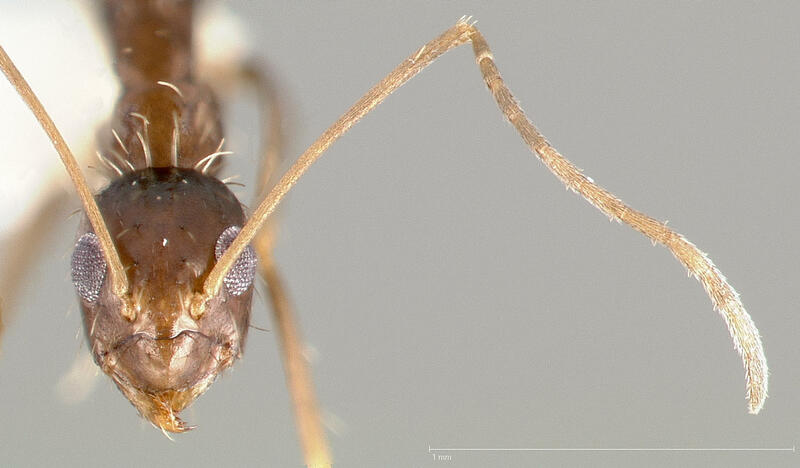 The crazy ants are most commonly found in coastal areas with warmer temperatures. Known scientifically as ‘Nylanderia fulva,’ they are also referred to as ‘rasberry’ after the exterminator Tom Rasberry who discovered them in Houston in 2002. The ‘crazy’ ants do not have such a painful sting as their insect counterparts, but they are still a nuisance for homeowners. The Argentinian variety is particularly vicious, attacking crops and animals. And the pests, from Pampas, have teeth sharp enough to gnaw through thick wiring, causing short circuits and fires. Expert David Cross said that the new arrivals are the latest additions to a growing list of fearsome tropical ants that have colonized areas across the country. Mr. Cross said: “Species like these were once contained in their own parts of the world, but they now seem to be on something of a world tour. “The population of tropical ants in this country is certainly growing all the time and we’re now seeing many more problems with colonies of certain species than we have witnessed in the past. He added: “Most tropical ants can’t live outside and need warmth to survive so they can thrive in places where heating is on all the time. C Tech Corporation can offer a solution to overcome the damage caused by crazy ants. Termirepel™ anti-termite, an anti-insect additive is an ideal solution for the prevention and control of crazy ants. It follows 6 pronged strategy which is extremely effective on crazy ants as well as insects like termites, beetles, grasshopper, bugs etc. Protecting our plants from insect nuisance! Agriculture plays a crucial role in the development of an economy. It is the backbone of our economic system. Agriculture not only provides food and raw material but also employment opportunities to a very large proportion of the population. However, the damages inflicted by insects to crops lead to huge productivity losses along with crop contamination. About 200 different types of diseases in plants are solely caused due to insects. Although these pests are small in size, the damage they cause is very evident. A plant disease is usually defined as an abnormal growth and/or dysfunction of a plant. Plant diseases are generally caused by microscopic organisms such as fungi, bacteria, protozoa, parasitic green algae, etc. Many plant diseases in the field become much more serious and damaging in the presence of insect vectors that spread the pathogen to the new hosts. Continuous feeding and tunneling of insects into the plant tissue create an entry point for the diseases which are not transmitted by the insects. In some cases, plants themselves carry the causative agents of the disease and spread them from one plant to other. Otherwise, insects carry the pathogens either on the outside or inside of their bodies and inject plants hypodermically as they feed on them. Insects with chewing mouthparts, for example, grasshoppers, caterpillars, and beetles cause feeding damage such as holes or notches in foliage and other plant parts, leaf skeletonizing, leaf defoliation, cutting plants off at the soil surface, or consumption of roots. The appearance of spots of various shapes and size on leaves, shoots, stems, fruits etc. is one of the most commonly observed signs of insect damage. As insects feed on plants, they simultaneously secrete toxins into the various parts of the plant namely the shoots, leaves etc. 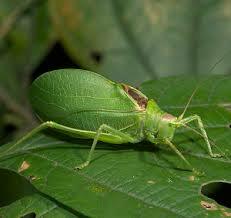 For instance, the toxic saliva secreted by leafhoppers, known as ‘’hopper burn’’, causes yellowing of leaves. Other harmful effects of insect infestation include stunted growth and deformed leaves and flowers, reduced photosynthesis, weakening of plants, interference with the process of translocation, etc. Many insects have a tendency of inserting their mouthparts into the plant tissues and sucking out all the necessary nutrients and juices essential for the plant growth and nourishment. This sucking action acts as a hindrance to plants growth. Insects also secrete honeydews on the leaves which support mold growth on plant surfaces. Although sooty molds don’t infect plants, they can indirectly damage the plant by coating the leaves that inhibit sunlight penetration. Thus the plant’s ability to carry out photosynthesis is reduced, further resulting in weakening of leaves, premature leaf drop, etc. Insects can also cause injury to plants when they lay eggs (oviposit) into plant tissue. Heavy oviposition into stems can cause death or dieback of stems or branches on the plant. Dieback of the ends of stems or branches is often called flagging. Oviposition in fruits can result in misshapen or aborted fruits. For instance, cucumber beetles lay orange egg masses on the underside of leaves. They also munch holes in the same leaves. The use of conventional pesticides to combat the problems caused due to insects is proving to be dangerous to the environment. Apart from polluting the soil as well as the groundwater reserves, these pesticides also affect the beneficial non-target species such as bees, earthworm etc. which are necessary for human survival. Today we are facing an acute problem of food shortage. About 11.3% of the total population of the world is starving. Thus there is an immediate need to find a solution to avoid the damages caused by insects to our plants. At C Tech Corporation we have come up with a solution to avoid the damage caused by insects to plants. Our product Termirepel ™ is a non-toxic, non-hazardous insect aversive. Termirepel ™ is available in the form of solid masterbatches, liquid concentrate and in lacquer form. The product is compliant with RoHS, RoHS2, REACH, APVMA, NEA and is FIFRA exempted. This product acts through a series of highly developed intricate mechanism ensuring that insects are kept away from the target application. The product can also be incorporated into agricultural films, greenhouse films, plastic mulches used on a large scale in the agriculture as well as horticulture sector. The fencing and the tree guard can be coated with Termirepel™ to protect the plants from insect damage. Termirepel ™ does not leach out, thus there is no soil pollution. Groundwater reserves are also not polluted. Also the non-target beneficial species like earthworms, bees etc are not affected. Termites- The evil inside your house!! Termites are the worst fears for a homeowner as these tiny creatures have the power to reduce a building to a heap of sawdust. Where are they found? Are they in the cupboard..? Or under the stairs..? No, they are found everywhere. They may be small but the damage they do to our home or office is huge and sometimes irreplaceable. Termites are a kind of white ant that differ from other Xylophagous insects because they are organized into a society like bees and ants. In the wild, they feed on barks of the trees or through soil damage our environment. 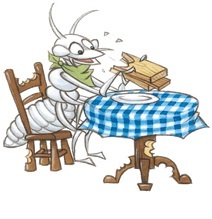 Whereas in our houses or offices they feed on wood as they have mouthparts that chew up wood bit by bit. But the real trick is that these termites carry formic acid that digests the cellulosic fibers making up the wood. Termites are a terrible pest because they penetrate into houses and wooden structures along mortar joints, through waste pipes, through electric cable ducts, and through inner partitions. They take advantage of any cracks in the structure of a building, entering into the woodwork and beginning their destruction. They always eat away in the opposite direction to the light, thus making them very difficult to detect. The main problem is that termites eat the wood from the inside out, so it is impossible to see the damage until it is too late. They are also likely to go for wood that is close to the ground, so foundations in older buildings are particularly susceptible. According to the National Pest Management Association (USA), termites cause more than $5 billion in property damage every year, an expense not typically covered under homeowners’ insurance policies. Indeed, damage from termites is five times more likely than damage from fire. To heighten awareness of these pervasive pests, the association designated March 25 to 29 as “Termite Awareness Week. The different types of Termites found in nature are Drywood termites, Subterranean termites, Formosan termites and Dampwood termites. Amongst these, the subterranean termites are the most commonly found species of termites in Europe. Let us look at how these termites damage our wooden objects. The Subterranean termites eat wood, along the grain. They prefer to eat the light parts of the wood and leave the dark rings. Their galleries often look long and narrow because they follow the grain of the wood. During the excavation of wood subterranean termites bring soil particles into the galleries. They stick the soil particles and their droppings onto the walls of the galleries which help in keeping the environment humid in the gallery. Whereas when Drywood termites eat wood, they eat the light parts and the dark rings. They form galleries which are larger in size than the one formed by the subterranean termites. Since dry wood termites do not go into the soil, their galleries are smooth and clean. These termites dispose off their droppings by pushing them out of the galleries. A young boy has suffered severe brain damage – which will likely affect him for life – after he and his family were apparently cleared to return to their home following botched termite fumigation. Peyton McCaughey, 10, went back inside the house in Palm City, Florida, alongside his mother, Lori, father, Carl, and little sister on August 16 – two days after it had been tented for termites. Although the family had been told by a Terminix subcontractor that it was safe to return to the fumigated property, they all started vomiting that night, a lawyer for the McCaugheys alleges. While Mr and Mrs McCaughey and their daughter recovered the next day, Peyton deteriorated. 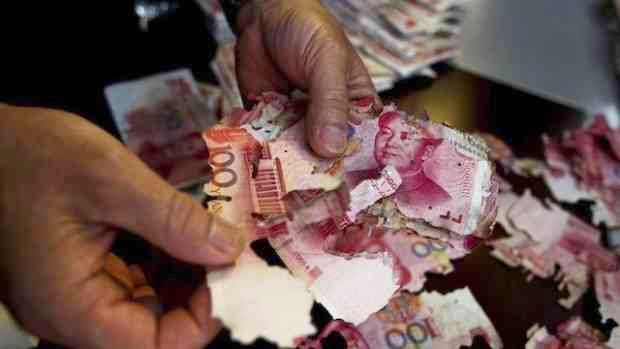 A chinese woman almost lost her life savings recently when termites invaded a wooden drawer in which she kept a plastic bag containing 400,000 yuan: the equivalent of $65,000 U.S. dollars.”The remains of the cash stick together by termite`s mucus …” she said. Termites have left a $50,000 damage bill at WA’s Parliament House, with extensive repair works planned for later this year to fix a trail of destruction. The Parliamentary Services’ annual report, tabled this week, revealed the insects had caused substantial damage to the Legislative Assembly chamber. Forests in Adilabad district, especially the vegetation in the core area of Kawal Tiger reserve (KTR), are currently under attack by termites. The stems of thousands of trees in the jungle are covered with mud layers which is a characteristic of the termites when they go attacking trees. Termite “Superswarms” threatens South Florida- Two of the world’s most destructive termite species are swarming South Florida, and the fact that they are mating has scientists sweating. The Asian and Formosan subterranean termite species are producing hundreds of thousands of winged males and females (known as alates), which are in turn creating hybrid colonies, according to University of Florida entomologists. The two species are no joke, and hybrid colonies could prove even more disastrous for homeowners. “They are the two most destructive termite species in the world,” University of Florida Entomology Professor Nan-Yao Su told FoxNews.com. So what do we do now? Prevent them? But how? There is an efficient solution that we at C Tech Corporation, have come up with. We have a unique product known as Termirepel™ which solves all our grievances. So let us look at some of the salient features of Termirepel™ and how it drives these mischievous termites away from our houses, offices, and workplaces. Termirepel™ is non-toxic and non-hazardous insect/termite aversive. Termirepel™ which is an anti-termite has been designed for polymeric applications as well as for natural materials like wood. It combines the best of chemistry and green practices to give an environmentally safe product which keeps the termites away effectively while at the same time guaranteeing safety to the environment, plants, animals and fragile ecosystems.